Toucan Boxes contain everything you need to play, learn, create & explore. 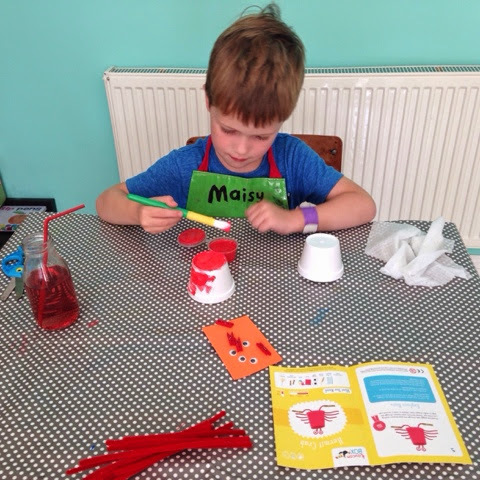 They come in various sizes, containing one, two or four projects and are aimed at 3-8 year olds. We received the Grande Toucan box and Wiss couldn't wait to get stuck in! Inside were two smaller boxes, each containing a craft to make, plus there was a book to read and a colouring chart with stickers (that you can collect over time to claim a special prize.) 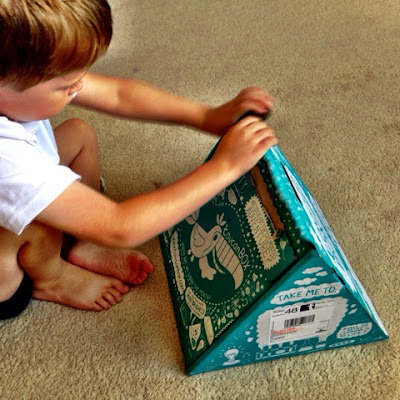 Our box had a seaside theme which was echoed in the book as well as the makes, perfect for Wiss as he loves the beach and Octonauts, but there are loads of different themes to appeal to everyone - even a chill out yoga one! I particularly like the fact that they are non gender specific - all of them come in the same boxes. 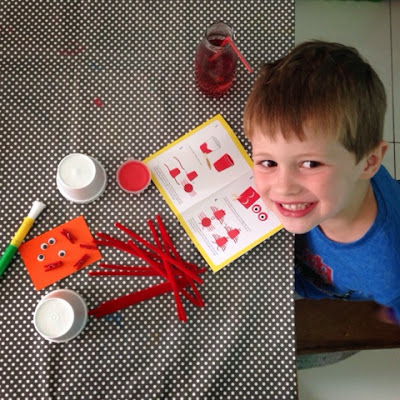 The crafts are really original and come with a detailed and easy to follow instruction booklet. 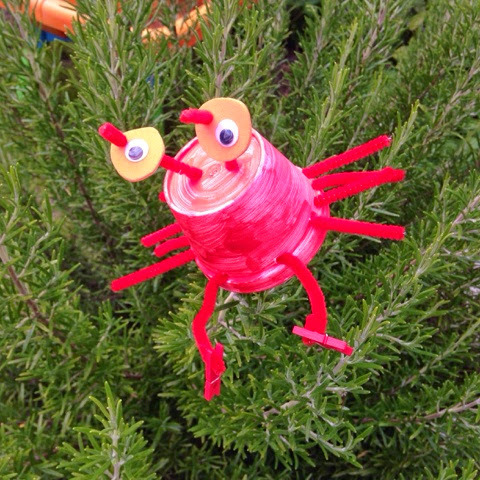 Wiss made two Hermit Crabs (pictured above) from a polystyrene cup complete with googly eyes and mini pegs for claws! 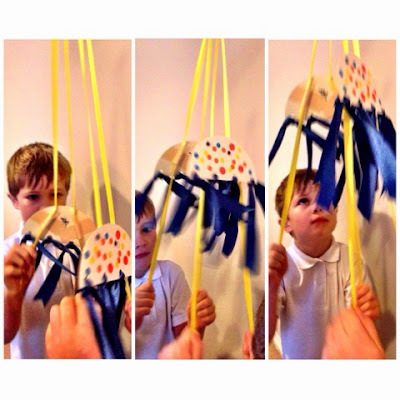 And then we made Jellyfish Racers pictured below. Once you've made your jellyfish you can pull the ribbons to make them climb up the window or mirror. It got very competitive in our house! The storybook is a great way to enjoy some quieter time together but still continue with the theme of your box. We received 'Titch the Tiddler'; a story about a little fish that saved the day. 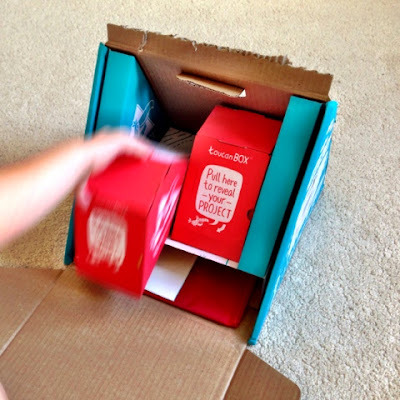 We really enjoyed everything about our Toucan box - even the fantastic 'interactive' box has been played with regularly, as an airport and a multistory car park! I think a Toucan Box would make an excellent and original gift, and with half term just around the corner they're a great way to keep the kids entertained. 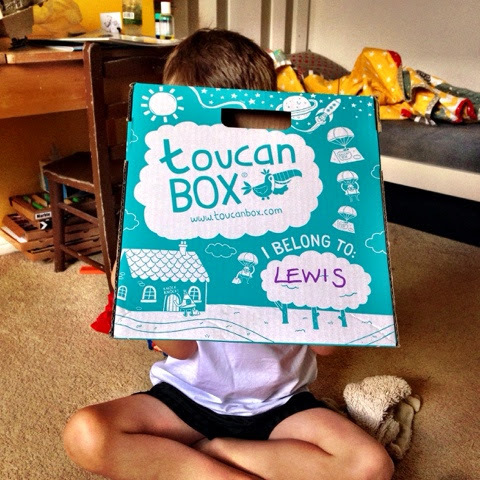 If you sign up to their newsletter then you'll be given a code to entitle you to 50% off your first Toucan Box. What's not to love about that?! Thank you! I hope you like your Toucan Box as much as we did.